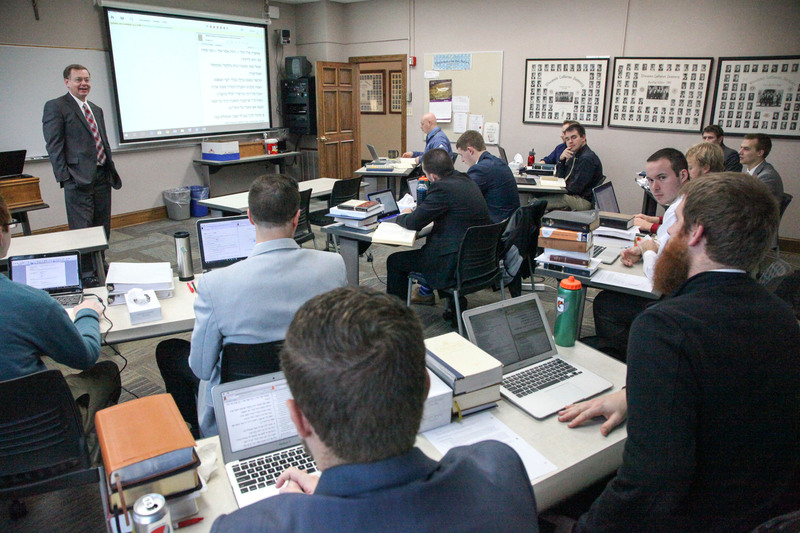 This is my sixth year of teaching at the seminary, so much of what I’m doing seems routine by this time. and the computer opens the electronic dictionary to that word. At the click of a mouse, they can access some of the latest studies in the Psalms and even draw up high resolution photographs of the Psalm manuscripts found among the Dead Sea Scrolls. But many things have not changed. We are doing the same ordinary work that Luther and his students were doing almost 500 years ago. We are sifting through every word of God’s inspired Scriptures to mine even the subtle nuances in meaning from them. We still see some of the most comforting truths in them, truths that Lutherans— and Christians in general—have always seen in them. I help my students discover what it means that Christ was begotten by his Father from eternity (Psalm 2:7), how he would die on a cross for our sins (Psalm 22), and how he would rise from the dead (Psalm 16:9-10). Many seminaries today teach that the Psalms that foretell what Christ would do really were not intended as messianic prophecies at all. Many seminaries teach that the psalmists were speaking about the kings of Israel back in the days when they were written and that it was only later on, when the Israelites were disillusioned because their kingdom had been destroyed by the Babylonians, that they began to reinterpret these Psalms as referring to a future king—a much greater king than they had had in the past. One of the ordinary things we do in the classroom is test such theories and rediscover why men like Luther (and Bible interpreters of all generations) have recognized that these prophecies cannot refer to anyone but God’s incarnate Son. These are the “ordinary” things that we professors are helping these pastors-in-the-making to discover so that they can proclaim these wonderful truths to their congregations in years to come. Prof. Bill Tackmier teaches Old Testament and homiletics.